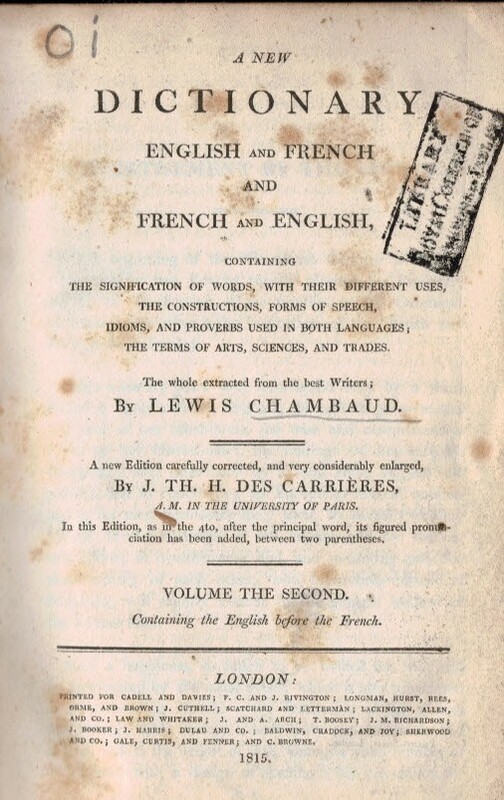 Barter Books : Chambaud, Lewis; des Carrieres, H Th H : A New Dictionary English and French and French and English. Volume the Second (English-French), Parts 1 & 2. Birmingham. : Cadell & Davies &c.
220 x 140 mm (9 x 6 inches) - [500pp; 500pp]. Worn condition. Ex-lib. Royal College of Surgeons. Boards detached. Spine missing from Part 2. Foxed.